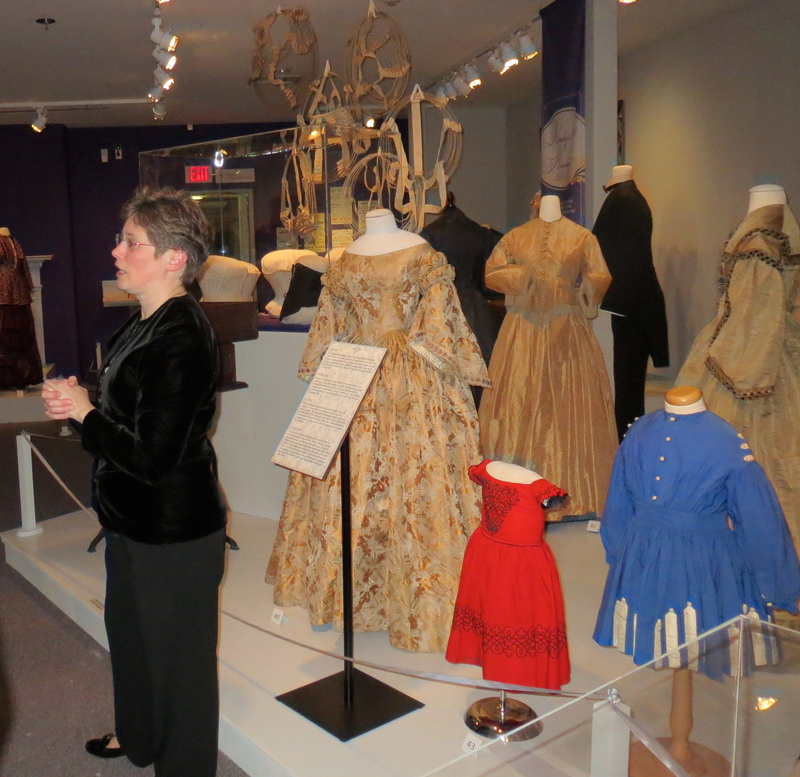 “Profiles: Chester County Clothing of the 1800s,” the first comprehensive interpretation of 19th-century Chester County garb and the people behind it, opened Friday at the Chester County Historical Society. 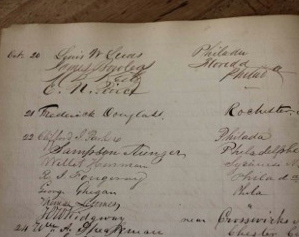 A Pennsylvania law passed in 1872 may have shocked the pantaloons off some: It allowed women to buy sewing machines without permission from their husbands. But that was far from the only scandal reverberating in the Chester County fashion world, where constricting corsets wreaked havoc with breathing, and whale baleen shoved flesh in painfully unnatural directions. Now, the drama that often lay hidden beneath myriad layers of fabric is being artfully exposed, thanks to the Chester County Historical Society (CCHS). On Friday, it opened “Profiles: Chester County Clothing of the 1800s,” the first comprehensive interpretation of 19th-century Chester County garb and the people behind it. 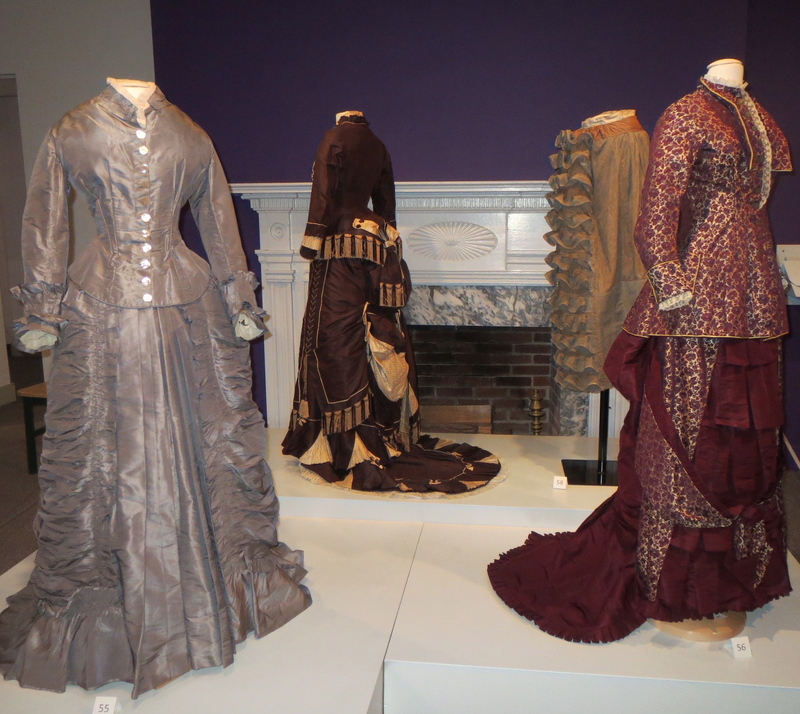 The display, installed in the society’s 2,000-square-foot main gallery, boasts more than 40 elegant as well as ordinary examples of outerwear worn by women, men, and children that effectively illustrates the evolution of clothing in the 1800s. 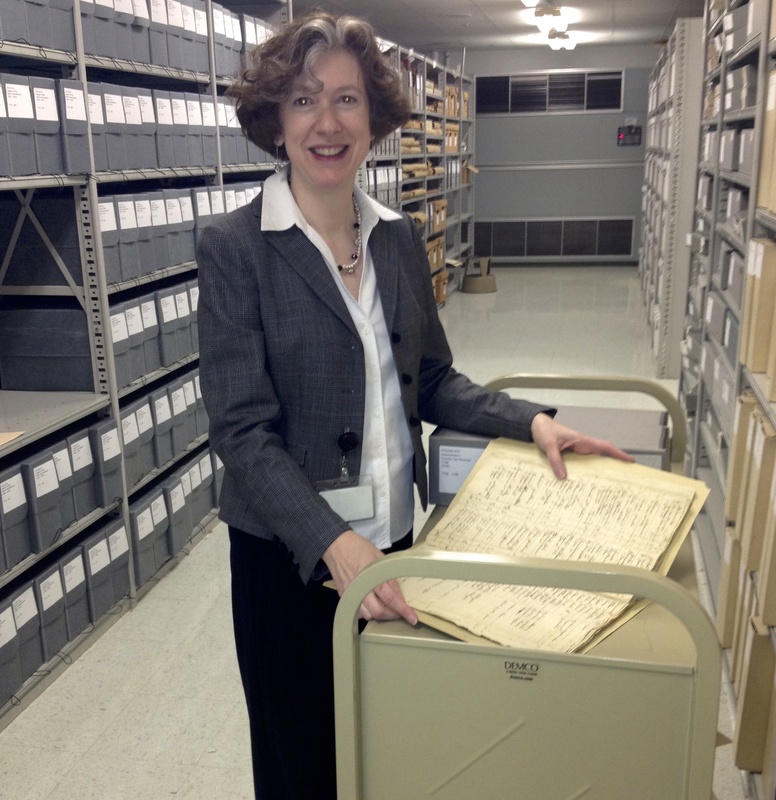 With Chester County just a day’s horse ride to Philadelphia, the region enjoyed access to global trends. 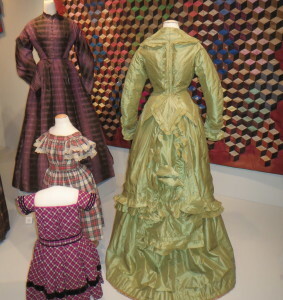 Two women’s dresses, a green striped silk and a purple and black plaid silk taffeta, and two child’s dresses, a red, black and white plaid cotton and a magenta, black and white plaid wool trimmed in black velvet, were worn in Chester County in the 1860s and 1870s. Co-curators Ellen Endslow and Heather Hansen have highlighted the progression of haute couture by grouping the attire into four sections: 1810-1825, 1826-1861, 1862-1880, and 1881-1899. And while it may be difficult to know how long it took 19th-century Chester Countians to get decked out in their finery, Endslow and Hansen can tell you what was required to adorn each and every mannequin: 10 volunteers and nine hours. But labeling them mannequins possibly does them a disservice. During the painstaking, four-month dressing process, the curators said they learned so much colorful history about some of the wearers that they almost came alive. For example, Eleanor H. Bechtel moved to the Midwest after wearing a restrained, Quaker-style ivory wedding dress at her Oct. 20, 1859, nuptials to David Moore in Kimberton. After he died of cholera, she returned to Chester County, subsequently becoming the first female principal in the state orphan system and marrying Simpson McCullough in 1882. Perhaps because of the clothing’s’ craftsmanship or the wearer’s relationship to the craftsmen, 19th-century folk felt connected to garments in ways one doesn’t see today, Endslow said. Even undergarments got included in wills, and clothing worn by loved ones who died were sometimes preserved as a memorial. Ellen Endslow, co-curator of the fashion exhibit, discusses the Civil War influence, such as military-style embellishments, on some of the clothing worn in the 1870s. Recreating the bygone look, especially for the women, was laborious, the curators said, blaming fashion trends such as the hourglass figure. Real women simply weren’t built like that, said Endslow, referencing a frock with a 17-inch waist that required a whole lot of pinching and cinching. And once the waist got tightened, then the excess flesh had to be tucked discreetly into other places, added Hansen. “Everything is smoke and mirrors,” said Endslow. “It was then and it is now.” Those big puffy sleeves? Down stuffing. The voluptuous bodice? “Bust pads.” She said the experience turned Hansen into a formidable fitter as she mastered the art of using an electric knife to cut foam that would factor into the deception. Basically, the mannequins had to be transformed to fit the clothing, they both explained. In addition to exquisite garments on display, ranging from a men’s red and green paisley wool smoking jacket to a women’s gold brocaded silk gown, the exhibit includes fascinating ancillary artifacts such as clothing ads, sewing machines, fashion magazines, period quilts, and probate inventories from people like Nelson Taylor of New Garden Township, who made his list in 1845. The exhibit, made possible by a grant from the New York-based Coby Foundation, Ltd., which funds projects in the textile and needle arts field, will run through Aug. 30. CCHS also received assistance from the Fashion Archives and Museum of Shippensburg University as well as county residents who donated much of the clothing. 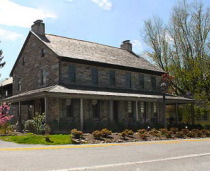 CCHS, located at 225 N. High Street, West Chester, 19380, is open Wednesday through Saturday from 9:30 a.m. to 4:30 p.m. For more information, visit http://www.chestercohistorical.org or call 610-692-4800.